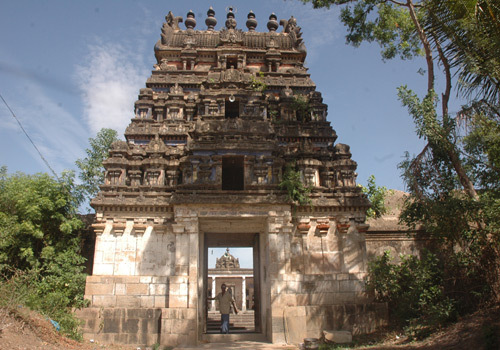 The temple is praised by Saints Sambandar, Appar and Sundarar in their Thevaram hymns. 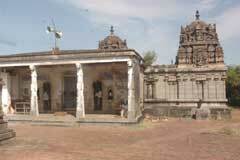 This is the 19th Lord Shiva temple on the northern bank of Cauvery praised in Thevaram hymns. Aani Tirumanjanam in June-July; Shivrathri in February-March and Tirukarthikai in November-December are the festivals celebrated in the temple. 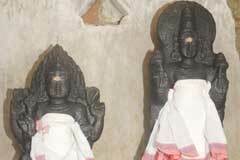 Sri Mahalakshmeeswarar Temple, Tirunindriyur-609 118, Nagapattinam district. +91- 4364 - 279 423 ,320 520, +91- 94861 41430. Sun and Moon are facing each other in the temple. 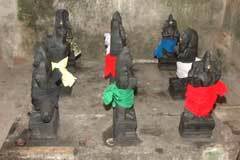 People pray here on the new moon day for salvation of ancestors. The axe scar on the Shivalinga is visible even now. 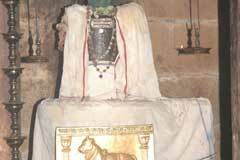 The Parasurama Linga worshipped by Sage Parasurama is in the prakara. 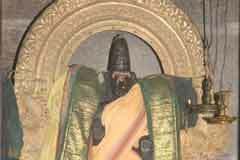 The Jamadakneeswara Linga is small in size and the Parikeswara Linga is big in size with Lord Mahavishnu by the side. 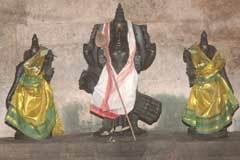 There are three tanks around the temple as a garland praised as Neela Malar Poigai by Saint Sambandar. 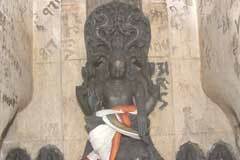 Those praying here will have a peaceful life free of ailments, fear and sins, it is believed. Devotees perform abishek to Lord Shiva with Madhulai fruit pearls. 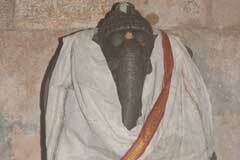 As Mother Mahalakshmi worshipped Lord Shiva here and was blessed, the Lord is praised as Mahalakshmeeswarar. 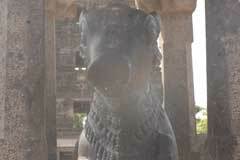 The temple is 7 km far from Mayiladuthurai on the Sirkali route.